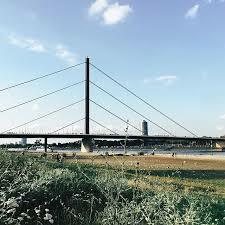 The capital of the North-Rhine Westphalia state of Germany, Dusseldorf is a university town and a center of art and fashion. It has lovely tree-lined streets, beautiful parks, riverside walks and impressive architecture to admire. Konigsallee is the city’s elegant shopping street and residents call it the “Ko”. Along the street you can see lots of amazing architecture. The street was laid out in 1802 and draws people with its incredible mix of luxury shopping arcades, boutiques, art galleries, restaurants and cafes. Also stretching along both sides of the Old Town moat, a 31 meter-wide, tree-lined stretch of water adds to the spaciousness of the area. Konigsallee stretches all the way from Graf Adolf Platz in the south to the Hofgarten in the north, ending at the incredible Triton Fountain. Jröner Jong a fountain created in 1900 from French limestone sits in the Hofgarten. It depicts Triton the sea god sitting on a boulder with a river horse coming out of the water. 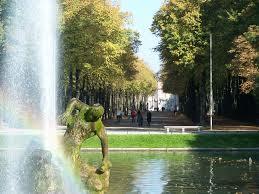 The Hofgarten is a large park dating from 1770 stretching from the Old Town and Konigsallee to the banks of the Rhine. This garden was designed like an English landscape garden and includes meadows, wooded areas, streams and ponds. 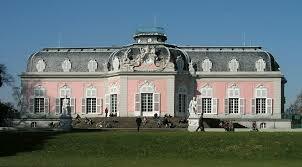 A notable building in the garden is the Baroque style Hofgartnerhaus or Court Gardener House. 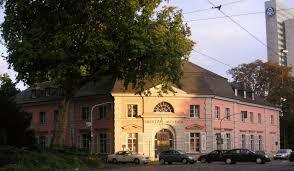 This is the former garden home of architect Maximilian Weyhe and is now home to the city’s Theater Museum. Another impressive building is the Schloss Jagerhof, a former hunting lodge built in the Rococo style in 1763 and at one time occupied by Napoleon. Today this is the home of the Goethe-Museum with a rich collection of artifacts and exhibits devoted to Germany’s greatest writer and poet. The garden also has many interesting modern sculptures, historic monuments and memorials including the Marchenbrunnen with its fairy tale figures. The Altstadt or Old Town has become one of the popular tourist attractions. The gathering place is the Marktplatz with the impressive Rathaus or Town Hall and a large equestrian statue of Elector John William II. Another highlight is the Castle Tower in Burgplatz on the banks of the Rhine. The tower now houses the Schiffahrts Museum, one of Germany’s best and oldest marine museums with amazing exhibits on shipbuilding and trade history. 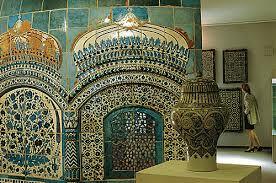 Another attraction is the Hetjens Museum which is dedicated to over 800 years of ceramics, porcelain and earthenware. When visiting the Old Town make sure to see the neighboring Ehrenhof district, home to the domed Tonhalle, a concert hall that was constructed in 1926 and is home to the city’s orchestra, Dusseldorfer Symphoniker. 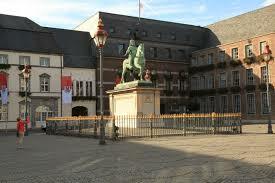 On the Marktplatz in front of the City Hall sits the amazing Elector Jan Wellem Equestrian Statue. It is the creation of Gabriel de Grupello and the base was designed by Adolf von Vagedes. The statue is made of bronze dating from 1711. 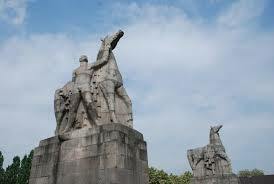 It is considered to be one of the most beautiful equestrian statues north of the Alps. 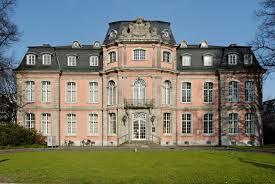 Schloss Benrath is a splendid Baroque palace built between 1756 and 1773. 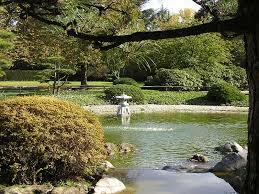 Among its highlights are the impressive interior and the large park and gardens. Today the palace is home to three museums. Focusing on different aspects of life in the 18th century is the Museum Corps de Logis. 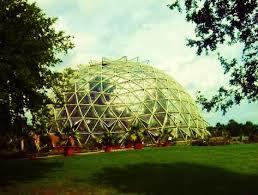 The two other museums are the Museum of Landscape Art and the Natural Science Museum. 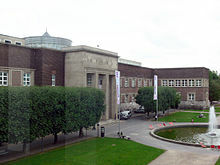 The North Rhine-Westphalia Art Collection is located in three different places in Dusseldorf. 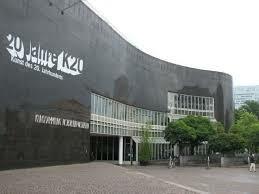 The largest collection K20 is located in Grabbeplatz, an ultra-modern building with a polished black granite facade. The gallery displays many modern artworks including an impressive collection of paintings by Paul Klee. K21 is in the 19th century Standehaus building focusing on modern painting and drawing including sculpture and film with the work of Thomas Schutte, Reinhard Mucha and Thomas Hirschhorn. Many temporary exhibits can be found in the Schmela Haus. In front of the Standehaus is the bronze and granite statue – Father Rhine and his daughters. 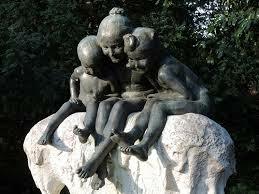 It was created by Carl Janssen/Johannes Tushaus in 1897. It was built after the celebrations held by the assembly of the Rhenish estates for Emperor Wilhelm I and Empress Augusta. 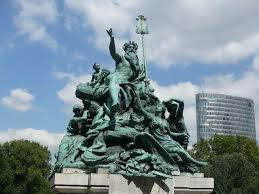 It is a symbol of the Rhine province’s homage to the emperor – bearded figure –Rhine and female figures – tributaries. 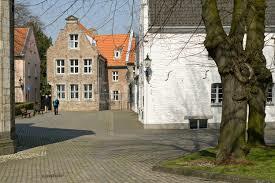 Dusseldorf’s oldest neighborhood dating from 1929 is Kaiserswerth. 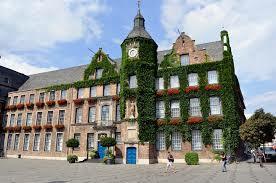 It is a great place for walking and admiring the old buildings and lovely places along the Rhine. The Church of St. Suitbertus has its roots in the 13th century. Older than that is the Kaiserplatz which was the imperial stronghold of Emperor Frederick I also known as Barbarossa. Even though it is mostly ruins, it’s still impressive. 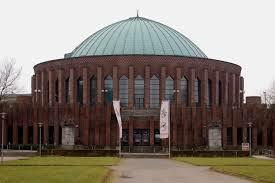 The Museum Kunstpalast displays art from the 3rd century BC to the present day. The highlights include fine art, sculptures and drawings. There are over 70,000 items of graphic fine art, photos and applied art. Visitors are also impressed by a collection of glass by Helmut Hentrich, rare Italian Baroque artwork, a modern art collection including the artwork of Dali, Warhol and Caravaggio as well as examples of the artwork of members of the Dusseldorf School of Painting and Expressionism. 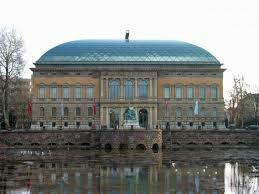 The museum also features theater performances and classical concerts. Guided tours are available. 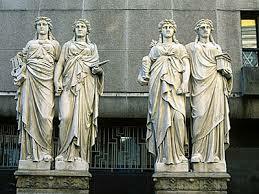 Made of sandstone The Four Caryatids date from 1881 and are the creation of Leo Musch. These former gable figures from the old Kunsthalle represent the fine arts – architecture, painting, poetry and music. 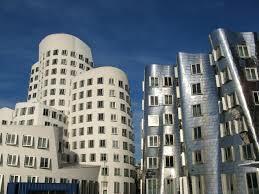 Dusseldorf is home to some of the most impressive and daring modern architecture which can be admired in Neue Zollhof. This is the redeveloped section of the city’s old port. Some of the highlights here are the office buildings of Media Harbor designed by Frank Gehry. There are three distinct building, built in 1998 that seem to defy gravity as they lean and curve. 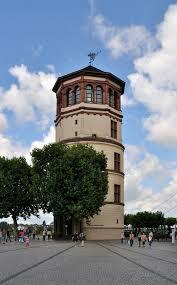 Here you’ll also find the Rheinturm Tower. This is a 240-meter tall telecommunications tower constructed in 1981. It has an observation deck offering spectacular views of the city. For your dining pleasure it has a revolving restaurant. 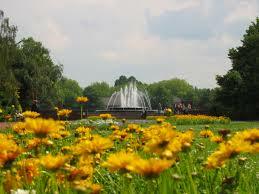 One of the most popular parks in the city is Nordpark. It is a great place for rest and relaxation with many wide pathways, spacious lawns and themed gardens. Among the highlights here are the Horse-Tamers statue and the Japanese Garden, presented to the city by its Japanese community. 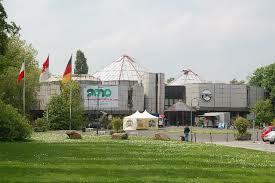 There is also the Aquazoo Lobbecke Museum which is great place for children of all ages with natural history displays and a large aquarium and insectarium. Providing enjoyment for visitors is the Botanical Garden of Dusseldorf University. This garden has plants from temperate climate zones and features a domed hot house, wildflower meadow, beehives, an apothecary and Alpine gardens. 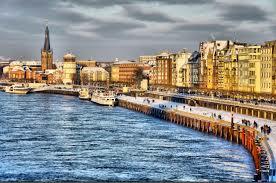 Dusseldorf’s Rhine Embankment Promenade is a wonderful way to enjoy the beautiful riverside. It opened in 1997 and was a way to hide one of the city’s busiest roads which is now buried beneath the promenade. This pedestrian route has a Mediterranean flair and is lined with cafes, restaurants, galleries and shops on one side and the Rhine on the other. The promenade stretches from the Oberkassel Bridge connects the Old Town to the state’s Parliament buildings. This is a great place for pedestrians, bikers with many opportunities for sightseeing, river and people watching. 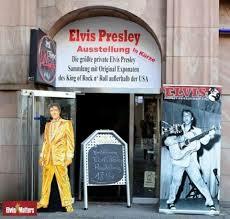 Three avid collectors have created the Elvis Presley Exhibition. They opened this museum by combining their collections. All of the items on display are from the time Elvis was at the U.S. Army base about 200 km southeast from here. Here you can also find the guitar that he used while he was in Germany and literally thousands of other objects relating to him including his alarm clock. 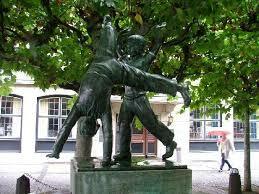 In the Old Town you’ll find Martin’s Column created by Reinhard Graner in 1965 made of bronze. It is a reminder of St. Martin and the Mantelteilung, celebrated every year on November 10th with procession of children with candle-lit lanters in all districts. What is fascinating about this is that here in Latvia we also have a traditional holiday known as Martin’s Day on the same date. It is celebrated in different traditional ways one of them being the serving of roast goose. It is especially meaningful for those whose name is Martin my husband included. Incidentally it has become almost like a family celebration since my mom’s dad, my grandfather was also named Martin. 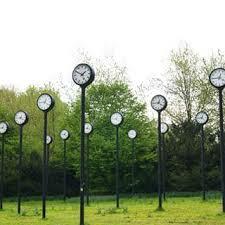 A most amazing thing to see is Zeitfeld – Field of Clocks located in Sudpark. It is the creation of Klaus Rinke in 1987. This is an arrangement of 23 clocks, with the 24th clock lying on the ground as mother clock giving the impulses, referring to our daily routine. Sudpark is Dusseldorf’s biggest and most visited park. 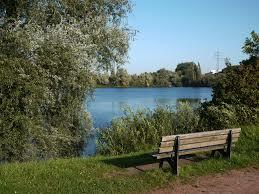 It is popular for its 30 km of paths and different things to do here. It is comprised of three sections Volksgarten, Vor dem Deich and In den Garten. Some of the highlights here are many different sculptures by international artists. Among them The Zeitfeld with 24 clocks. At the Burgplatz is the Cartwheel Fountain, regarded as one of Dusseldorf’s main symbols. The name of the fountain dates back to the 1950s when children used to perform cartwheels in front of it to amuse the crowds. 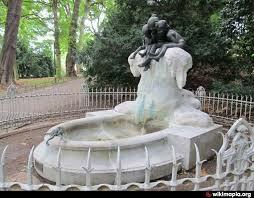 The fountain can be found between the Old Town and the Rhine and is a popular place for friends to meet. The first ever heavy-weight bridge built in the city is the Sudbrucke Bridge. 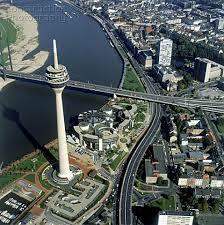 It joins southern Dusseldorf with Neuss and is one of the city’s finest landmarks. The bridge was built in the mid-2oth century. 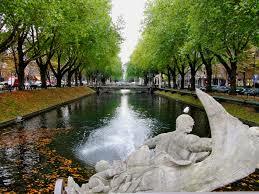 Dusseldorf is such a wonderful and enjoyable place to visit. Thanks for giving everyone an amazing tour of the city. Perfect! Thank you Jack and glad you enjoyed the tour. 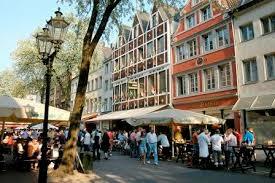 It is really amazing how all of these German towns and cities bounced back after the devastation of WW II. 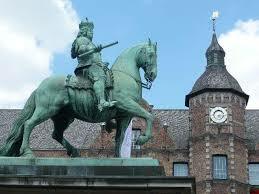 I had to visit Dusseldorft with you, I have not been there in ten years! Time to take another visit… I am longing to go back to Cologne. 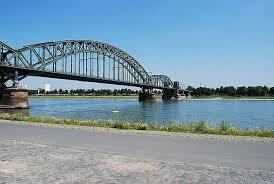 I was there with my mom when I was only 16 but I remember the boat ride on the Rhine. 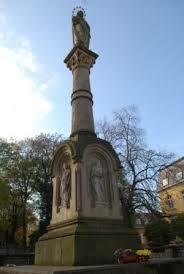 I lived in Trier and Bitburg for a while, it is such a lovely place in the Moselle Valley. I would love to return, not to live this time, to visit!